I know women's basketball isn't real high on anyone's list of priorities right now, but this offseason is turning into a mildly interesting one. 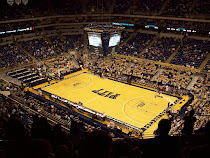 After losing an assistant and three players, Pitt's women's team has lost another assistant - Yolett McPhee McCuin. Now, I'm not familiar with the work of one Yolette, but this marks the fifth departure for the program this year. A program that only a year ago was up and coming. This appears to be a lateral move and there don't appear to be any ties for her. Further, Clemson was not considered even a mediocre team this year and haven't been over .500 since the 2003-04 season. So, really, this appears like a step down. It really makes you wonder what is going on at Pitt's program. Agnes must be rubbing people the wrong way. Might be time to go after a UCONN assistant. I have to agree with 8thlight, someting is going on inside the program to cause that many defections. Yeah, I don't think it's merely a case of a bad fit. When an entire class leaves it's a whole other thing. 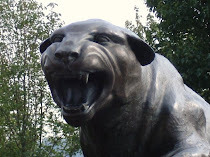 I think the first assistant left for a head coaching job, but this one doesn't even appear to be a lateral move as Clemson hasn't had the type of success Pitt has recently. Agnus really breathed new life into the program, but this clearly hasn't been a good year.